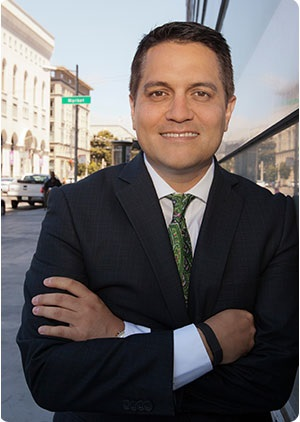 Miguel A Gamiño Jr. serves the City and County of San Francisco as Chief Information Officer (CIO) and Executive Director of the Department of Technology. As the San Francisco CIO, Mr. Gamiño provides thought leadership and the strategic direction for San Francisco’s use of technology. He advises Mayor Edwin M. Lee, Board of Supervisors, and City departments regarding opportunities to leverage technology to improve government services; formulate a vision for City-wide technology, embracing best practices and serving as the catalyst for enhanced technology. PRIME had the opportunity to sit down with Mr Gamino and discuss what makes San Francisco a smart city. What is your role as Chief Information Officer for the City of San Francisco? Like many municipal CIOs, I have two fundamental jobs: I am responsible for driving and establishing the technology strategy citywide and I run the operational organization, in other words the central IT department for the City. I do have a third role that I don’t think any other city CIO has. I represent the industry because of where we are. When I go speak publicly internationally and nationally, I get a lot of industry questions because I am seen as a gateway to what is going on at Twitter, Uber, Square, etc… I call myself an accidental ambassador to the tech world. I take this role very seriously and we spend a lot of time staying up to speed on where the industry is going. We do this for our own benefit because the more I know what’s coming, the better I can plan for it and leverage it. Also, when I’m out there talking to people I have a fairly good view of the landscape. What are the goals for the City of San Francisco in terms of becoming a smart city? Connectivity – We are driving towards being a hyper-connected city. This means our own municipal fiber network for organizational use, legislations to drive smarter building of infrastructure, public space WiFi, and, ultimately, trying to drive the pervasive broadband discussion in the hopes that every home and business will have multiple choices around high speed connectivity. Digital services – We are rethinking the way we deliver civic services, and using digital platforms to augment that service delivery; both how brick and mortar service delivery can be improved with a digital component and also providing digital alternatives to those brick and mortar service experiences. Shared services strategy – This is more an internal facing goal were we are trying to be smarter and more results and performance-focused on how we deliver technology services between and within departments. We need to leverage all the technology that is out there, to really make sure that our departments are on equal footing with the marketplace, This is an ambitious goal because it is a big ship to turn and we are trying to turn it really fast. What actually makes San Francisco a “smart city”? Connectivity doesn’t make us smart but enables us to become smarter. It is the underlying fabric that is required. For example, when we talk about the Internet of Things, without the Internet we are just taking about a bunch of things. We take that for granted sometimes and that is why the cornerstone of our initial planning effort is around connectivity. When a city becomes smart it starts consuming data differently and using it to make better, more informed decisions. A smart city is not an automated city, but one that can anticipate what its citizens and visitors need and want. That largely comes from a better view into how people are consuming our services and our city. Everyone talks about smart trashcans, smart lighting, smart parking applications, traffic monitoring etc. All these specific use cases are great because they begin to show people the potential of what a smart city can be. However, I think we will really see a smart city when a city itself will be able to inform decisions about what we do and how we do it. When will that be and what do you think is necessary for that to happen? Like I said, the first is building the connectivity fabric. Then, we create an environment to instigate creative entrepreneurs and solution designers to start using that environment to develop different applications for different use cases. For example, we just built an IoT network with Sigfox, which is a great step in the right direction. In San Francisco this is happening right now and will become a reality very quickly. There is an appetite for solutions engineering. By opening up this whole new set of opportunities, we expect to see many experienced software engineers hit the ground running in this new ecosystem. Can you elaborate on how the public and private sector are working together and how you are relying on the creativity of entrepreneurs to develop solutions for a smarter city? We are building the fabric and playing an active role in building a smarter San Francisco. We are not assuming that we know best and that we are the only ones interested in making civic experiences better. We are engaging these really bright people that can think differently and come up with creative solutions differently than what the government has been able to do in the past, with our involvement and participation of course. One very concrete way is this 48-hour IoT Hackathon we co -organized with SIGFOX and some other key partners where people from both public and private sector are invited to work together for civic impact. San Francisco is really interested in engaging industry and the vendor community differently. We are actively pursuing partnerships and asking the vendor community to make investments, not just purchase-orders. If we can align on business values, it makes sense to everybody and we all benefit appropriately. There are lots of details in how public-private partnerships are constructed such as caring for the public interest, and being very transparent and accountable. The real opportunity is to engage with the companies about what problems we are trying to solve and co-create the solutions. Is this a challenge to the way cities are being administered and creating new roles within a city? In some cities this will create new roles and challenge the whole bureaucracy. San Francisco is extremely inviting and open, and we welcome people turning everything upside down. San Francisco is a unique city; disruption is in our DNA. Not every government is that way. Certainly, it will require new roles and different approaches to existing roles. I am not what most people would describe as a traditional CIO. I care a lot about the ‘plumbing” and the infrastructure, but for its impact on the bigger picture, not for its own sake. I am in a unique sweet spot of being able to see both internal and external facing opportunities and impact. I can influence infrastructure decisions in a way that support the public-facing initiatives. We will have a degree of collaboration that we may not otherwise have had if there were two separate siloed conversations. What is your vision for San Francisco in the next 5 to 10 years? Ten years from now, we might be having this conversation on Mars. The pace at which technology evolves is so fast that we don’t know what will happen. My ten-year horizon is around connectivity. Thousands of years ago, we paved roads and organized road systems. Today we are talking about autonomous vehicles. No one could have predicted that, but those decisions led to a permanent change in civilization. Connectivity is a 10, 20, 200-year investment where a hyper-connected world will lead to applications and use cases that we cannot predict. Connectivity is a core infrastructure civilization changer. We are working on a five-year plan. We want to consolidate our cloud environment, deliver infrastructure-as-a-service uniformly, cost-effectively to all city departments. Five years from now I would love our connectivity vision to be fully or materially implemented in San Francisco. We want everyone or most everyone to have one or many forms of high-capacity connectivity. I would love for our civic service experience to be much better and for residents to have digital options to brick and mortar services.